YOUNG GIRL: [As before standing opposite him] There. YOUNG MAN: [In an exalted high-pitched voice] I love you. I am great, I am lucid, I am full, I am dense. As you can probably tell just from reading that, before even discussing if it would be an enjoyable play to watch, it would be impossible to even produce this play to its stage directions. Most of it doesn’t make sense to any linear sense of theatre. Designed by Artaud to highlight the various philosophies driving his Theatre of Cruelty movement, a movement he started to break with western theatre, overwhelm the senses of the audience and thus encourage them to feel emotion on a subconscious rather than rational plane, Jet Of Blood and the many avant-garde and surrealist/ Dadaist artists that Artaud inspired, are as transgressive, experimental, and pure as art gets (and indeed before breaking away from the surrealist movement, Artaud was one of its principal flag bearers). Be it Theatre of Cruelty, or more broadly beyond the theatre, Surrealist and Dadaist art, one thing unifies these thematically similar and yet often at odds fringe art movements; they actively reject and challenge the conventions determining what are “good” examples of their respective artistic fields promote. 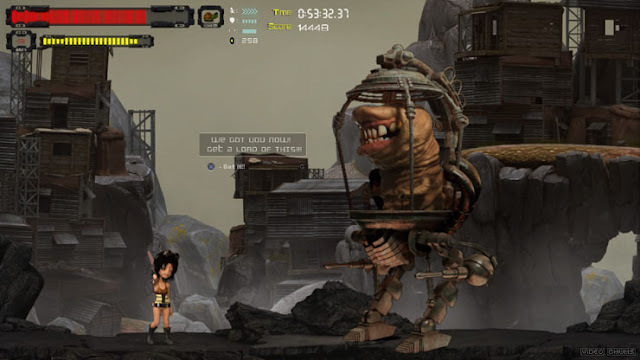 And increasingly, we are seeing this experimental, surrealist, downright odd spirit appear in video games. Unless you’re deeply invested in games in one form or another, you’ll probably not have heard of the majority of them, but their existence within the industry is for the better, even though none of these games will appeal to people who exclusively look to games to entertain. No Thing is a good example of a highly surrealistic game that has been kicking around for a while, though was recently released on Nintendo Switch (hence why I’m playing it for the first time). 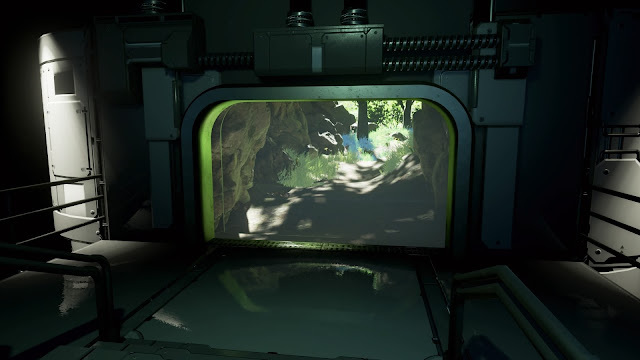 The game itself is a simple 3D “runner” where you need to turn left and right in 90 degree increments to keep your character moving forward on narrow pathways. This text is delivered in a highly disjointed fashion; effectively it’s an example of an avant-garde poetry reading of an avant-garde poem. Pacing is dissonant, with long periods of silence backed up with a roll-on phrases and words delivered scattershot. 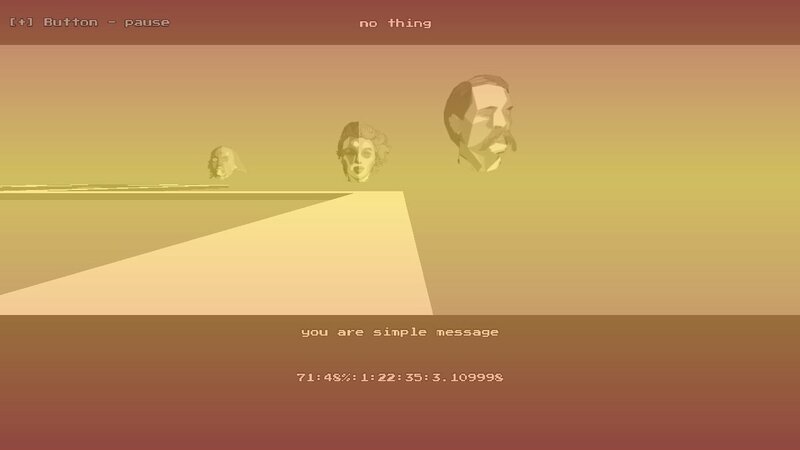 The mechanical voice that the narrative is recited in (sounding nothing if not like the text-to-speech applications in old computers), coupled with the art style, which features cycling filters (some actually painful on the eyes) superimposed over textureless “floors” and “walls” with disembodied polygonal heads floating in the background, all suggest a corporate dystopia. Despite that impression, though, No Thing actively resists making complete sense, and often seems to embark on a range of digressions that have less relevance to that central theme. As a game or narrative it’s not a smooth or “easy” experience, but it’s remarkably effective in washing over players and getting them to quickly forget that all they’re actually doing is running around looped mazes on auto-run, turning left and right and collecting cubes that are lying around the play field (the meaning of which themselves is questionable). It’s not the only fundamentally transgressive that has actively deconstructed a standard interpretation of meaning in video games in recent years. 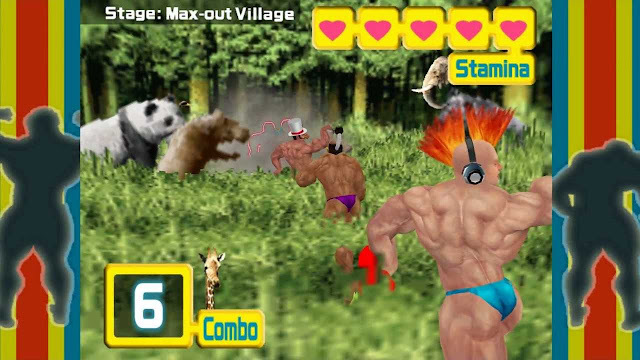 Daydreamer took delight in breaking people’s eyeballs and eardrums using clashing aesthetics and dissonant music to deconstruct the structure of classical platformers. 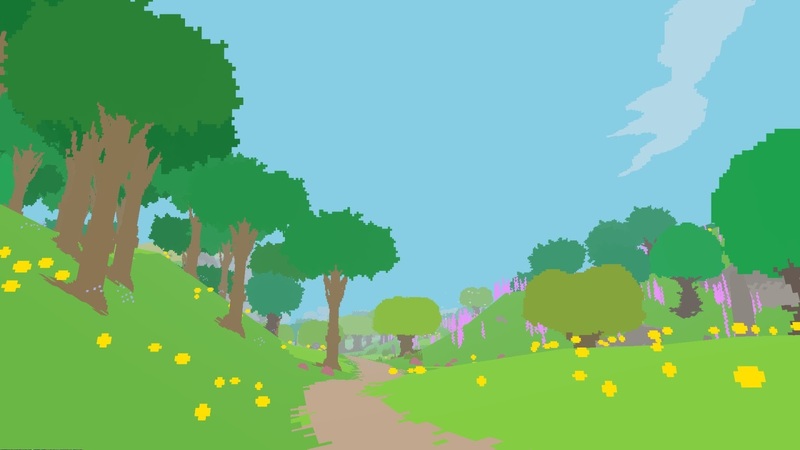 Proteus’ highly experimental approach to open world games stripped the interactivity out of the “gameplay” and instead put it into the soundtrack. 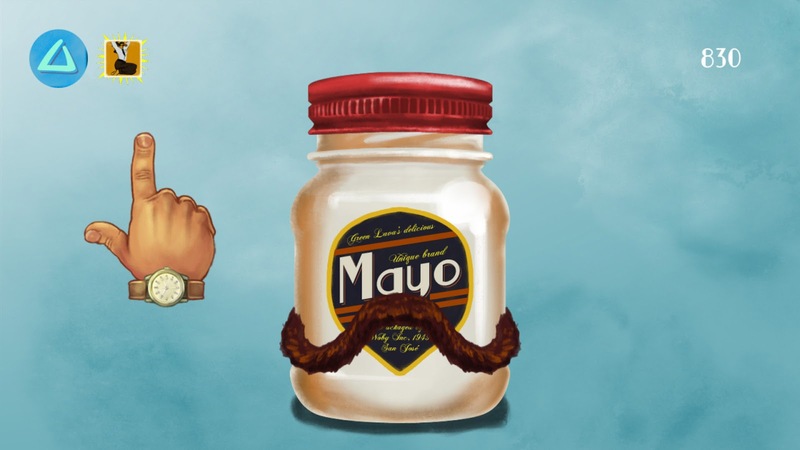 Games like Asemblance and My Name Is Mayo pull at the threads on how gameplay itself participates in a game’s narrative. 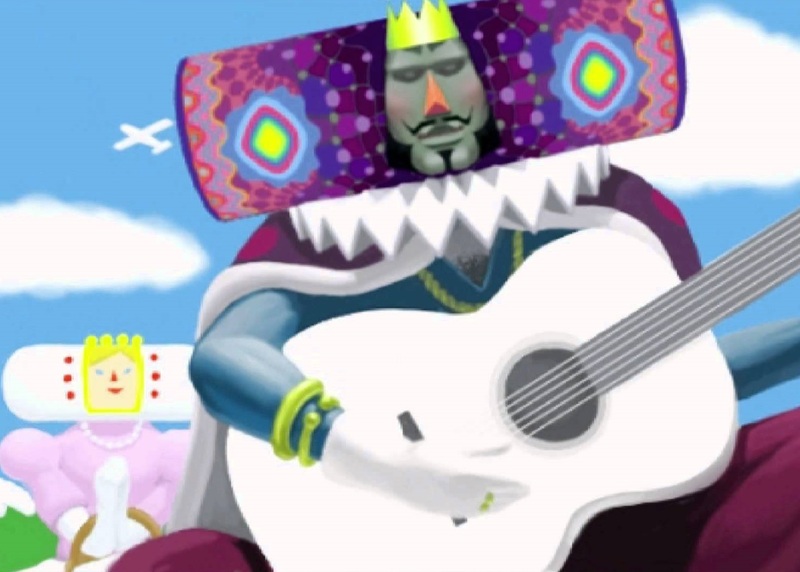 Looking a little further back, experimental games like Katamari Damacy and Muscle March were chalked up as “random” and “odd” by players, but really, they were more palatable examples of how surrealistic juxtaposition and thematic dissonance could impact on a game experience. All of these games approach something akin to what Antonin Artaud was looking to achieve in his Theatre of Cruelty. All of them “assault the senses of their audiences in encouraging them to feel the emotions of the subconscious.” They don’t always go down well with players – though No Thing’s an exception, many of the others end up with very polarising reviews from critics and player reviews alike – but that’s always going to be the consequence of the experimental form, and breaking with conventions in order to drive at a particular theme. The thing is that with these games how they play isn’t particularly relevant, and they’re a good example of a theme that I’m constantly on about – sometimes, the greater purpose and meaning of a game is more relevant and important than whether you’re having a good time pressing buttons. Of course, these games are also never going to be mainstream, any more than Antonin Artaud will be known as widely as, say, Shakespeare. There are entire companies devoted to putting on productions of Shakespeare plays, as the first blockbuster artist in the English language. Almost no one with bills to pay will even looking at Jet Of Blood and think to themselves “yeah, we’ll give that a crack.” But does that mean that these fringe art movements are unimportant? If popular culture is busy with mainstream entertainment, does anyone plugging along at quirky artsy stuff have a hope in having an impact? Well, yes. The thing is; creators, academics, critics, and other people of influence in any artistic field tend to experience, and study, the experimental, drawing inspiration from it and building on the good ideas… many of which end up adopted into more commercial or mainstream productions. That’s not to say that an experimental artist such as Antonin Artaud is copied wholesale into bigger productions, but the creatives involved in those productions would be familiar with his work, draw influence from it, and it would inform their own work from there. Look at Quentin Tarantino and his love of fringe and experimental Asian cinema, and how much of that ended up in films like Kill Bill, seen by audiences that would recoil at the very idea of watching a movie not produced in America. Now, in video games, we have our own Dada-esque works, and in projects like No Thing, we have something symbolic to everything that the development of video games as an art form has promised to deliver. Art develops and improves from its experiments and experimenters. No Thing, and the others driving this wave of highly experimental and surrealistic creativity in video games, are every bit as symbolic of the future of the medium as whatever microtransaction-ladden trash the blockbuster publishers push out next.